From its premium materials and elegant presentation to the state-of-the-art multimedia features on offer, the 2019 Mercedes-Benz E-Class cabin is unquestionably one of the top offerings in the midsize luxury sedan segment. Discover some of the most desirable features inside the new E-Class here, and then find it on sale near Benicia today at Mercedes-Benz of Fairfield. From the moment you step into the 2019 Mercedes-Benz E-Class interior, you’ll be surrounded by a superior environment of class and high-quality materials. Genuine Wood Trim – Have your E-Class appointed with any of a number of available wood trim options, including Natural Grain Brown Ash, Burl Walnut, Natural Grain Black Ash, Brown Ash, and designo® Manolia “Flowing Lines” wood trim. MB-Tex Dash Trim – The expertly designed front dash of the E-Class is offered with available topstitched MB-Tex leatherette. Nappa Leather Upholstery – Have your E-Class seats wrapped in available supple and hand-fitted Nappa leather upholstery. Premium Steering Wheel – Access a variety of multimedia features directly from the available heated wood and leather-wrapped steering wheel. COMAND® Multimedia – The Cockpit Management and Data (COMAND®) system offers easy access to a variety of premium features via an easy-to-use touchpad controller, including navigation directions, radio, and smartphone app integration, all accessible via a 12.3-inch high-resolution display screen. Burmester® 3D Surround Sound System – Enjoy an engaging and immersive surround-sound experience with this available 1,450-watt, 23-speaker audio system with a subwoofer in the trunk and a 400-watt amp. Step Into the 2019 Mercedes-Benz E-Class Cabin Near Napa Today! If you’re ready to take the 2019 Mercedes-Benz E-Class for a test drive, then make the trip to Mercedes-Benz of Fairfield today. 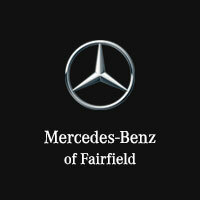 We have a number of specials going on now near Fairfield, too, including current offers and demo vehicle specials. Our dealership is open seven days a week at 2950 Auto Mall Parkway in Fairfield, CA, and you can reach us at (707) 430-0131 seven days a week.